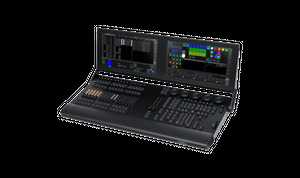 The compact XT console features 2 huge multi-touch monitors, 5 dual encoders and a complete command section almost identical to the larger models. With 60 physical playbacks, 16 assignable x-keys and a dedicated master playback section the grandMA3 compact XT console provides plenty of playback options. 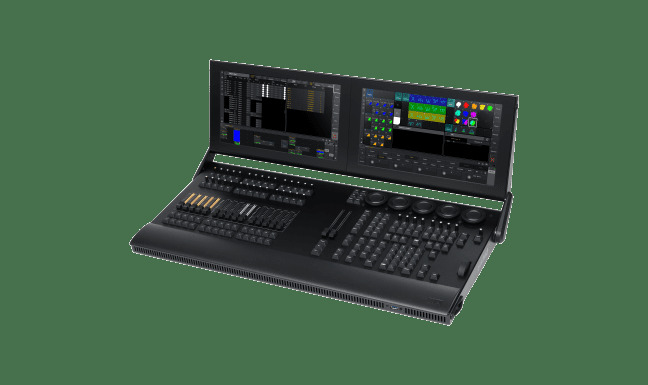 The grandMA3 compact XT console includes 4,096 control parameters as standard, making it an ideal choice for small and medium sized professional entertainment lighting applications. The system size is scalable to 250,000 parameters with the use of additional grandMA3 processing units. The grandMA3 compact XT is compatible with grandMA2 and grandMA3 software.